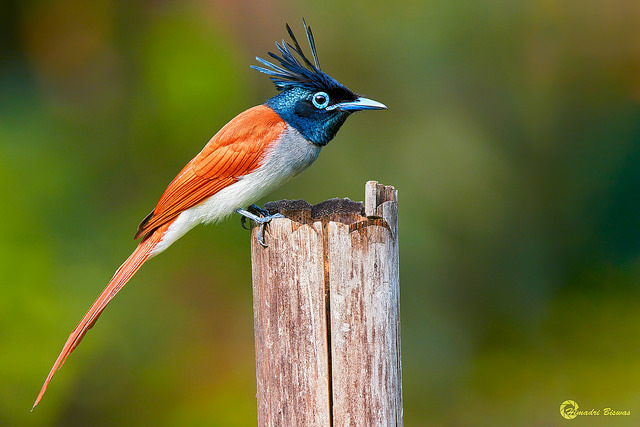 I am pretty sure that this is a Indian Paradise-flycatcher (Terpsiphone paradisi). Since we cannot see the length of the tail feathers, we cannot distinguish between male and female, the later have a much shorter tail. More information can also be found here and here. 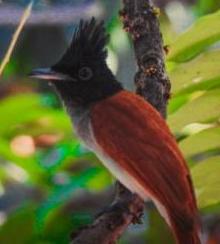 Can someone identify this bird?